I’ve always had a soft spot for racing games, stemming from me watching my brother play pretty much the only racing game around, Gran Turismo 2 all those years ago, begging for him to give me a try on my first game, let alone racing game. Now you have so many racing games to choose from; the likes of F1, more a simulation racing game, Need For Speed, the more mainstream racing title and then my favourite of all, Forza, which has set the bar for many racing games out there. 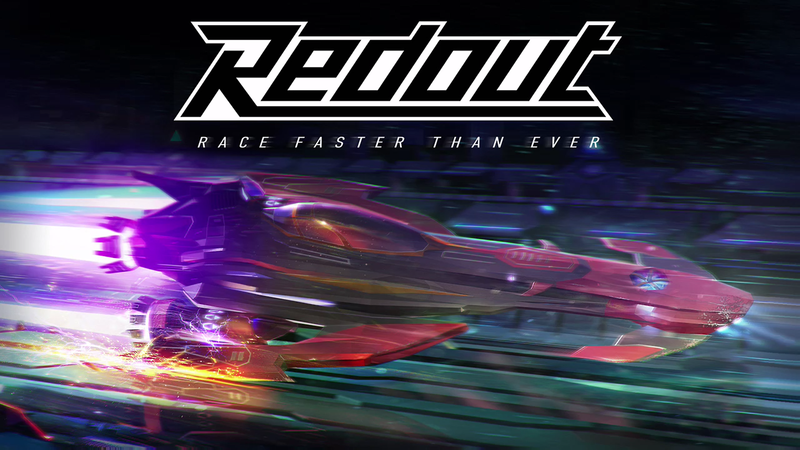 The latest addition to this genre is Redout, a fast-paced, high octane, futuristic Arcade Racer similar to the likes of Wipeout and F-Zero. 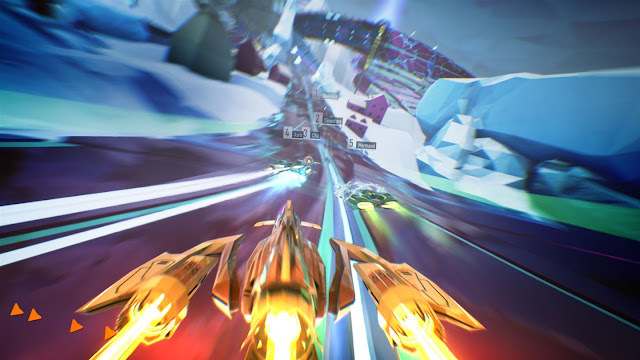 Redout Is designed to be fast-paced, exciting and tough. And let me tell you, it delivers these aspects perfectly. 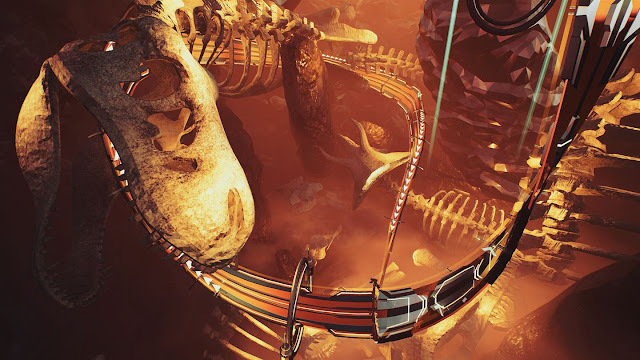 This game is very physic orientated, every action you take, every button you press, has an input on your ship which means you must be very mindful of every corner you take. If you want a racing game that you can shut your mind off to play and still come in first place, then this is not the game for you. You start off with the option of choosing a ‘sponsored’ ship, completely free of charge. You have 7 to choose from; Vanguard, Centaur, Qareen, Gila, Takatora, GT9 Stradale and Molniya. I chose the GT9 Stradale as I thought it looked the coolest! As you progress through the campaign races, earning money, EXP and levelling up as you go you will unlock the option to upgrade the ships you own. Whether that be purchasing power ups, upgrading your ships stats or upgrading your ships class level. Each ship can upgrade 4 times, meaning 28 ships in total. Upgrading your class basically gives you a better version of your current ship, giving it better acceleration, better structure and even better grip. Each ship differs in stats and you will need to play around with all of them to figure out what works best for you. Of course, these things need money to do and a lot of it at that. Money is easily earned in the game. It’s simple, just complete races. Where you place in these races will determine how much money you earn exactly; Getting a Gold Medal (1st place) will earn you the most money and EXP, getting a Silver Medal (2nd place) will earn you slightly less and a Bronze Medal (3rd place) slightly less than that of the latter. Getting these medals isn’t going to be easy, however, you may need to complete the same race multiple times to get the medal you’re after. It does make you feel like you have truly earned those medals when you get them though. The game does reward you with some money and EXP for not ‘winning’, which is extremely helpful as you can use this to tweak your ship slightly enough to win that medal you’re after. There are 35 different tracks in total, ranging from frozen landscapes to desert plains to suburban environments. All of which look as graphically pleasing and fast-paced as the last. Each level keeps you on your toes, from sharp turns, loop de loops to high jumps. All invoking a new challenge to get over, this isn’t an easy game. There is also a range of exciting modes to play on your journey through the Career Mode. There are normal races where you fight to get into 1st place for that Gold Medal, there are time trials, there are tournament races, you have what’s called ‘pure’ races which means you cannot use any power-ups your ship may have, and then there is my favorite type of race which is called ‘Last Man Standing’. This is such an exhilarating game mode where after each lap, the player in last place gets eliminated from the race. This makes you feel on edge constantly as on this game the rankings change so often, you may be in first place right now, but that could soon change in a matter of seconds, and it usually does. The loops and turns aren’t the only things that make this game difficult, everything has an impact on your speed. Every press of your brakes severely slows you down which makes you want to not use it as much as possible and if you’re anything like me, in doing so, you will hit off most walls you come to, which again, slows you down but also has a much more severe consequence. It lowers your health of your ship, yes, your ship has a health bar. If this health bar hits 0, your ship blows up and you get reset on the track, which in return, makes you lose the position you had and it becomes extremely difficult to catch up again. Your ships health does regenerate if given enough time without hitting a wall. I mean, it doesn’t help that this game is so fast-paced your eyes can’t keep up with it, but that may be just me! One thing that really surprised me with this game is the music, it’s so atmospheric! Being someone who cannot listen to music whilst playing a game as I like to hear every detail the game has to offer, I thought I would miss the sound of an engine or even the sound of my vehicle bashing into a wall, but with the music, I didn’t even realize it was missing. The way the music ‘dims’ when you’re in the air after a high jump all added to my experience with this game. There is also an online mode on the game which I delved into a little where you can play with people all over the World. All your stats from Career Mode port over to Online, so you can use all your unlocked ships with the same power-ups which can be quite annoying if you are in a race with people who are way above your level (Which I was). I only managed to get into a few Online games as it seems many people aren’t playing it online, or if they are, the matchmaking system doesn’t work very well. Overall: Redout was a much more enjoyable game than I had hoped for. With fast-paced, exhilarating gameplay and a Career Mode that will keep you entertained for hours, this futuristic racer is perfect for fans of the genre and new fans, just like me. It’s a tough game which makes you feel a sense of accomplishment with every Gold Medal you achieve. If you’re looking for a challenge, this one is for you. Massive thanks to Chelsea for this review with the code that was provided to her. You can find more of her reviews over on her review site by clicking right here.